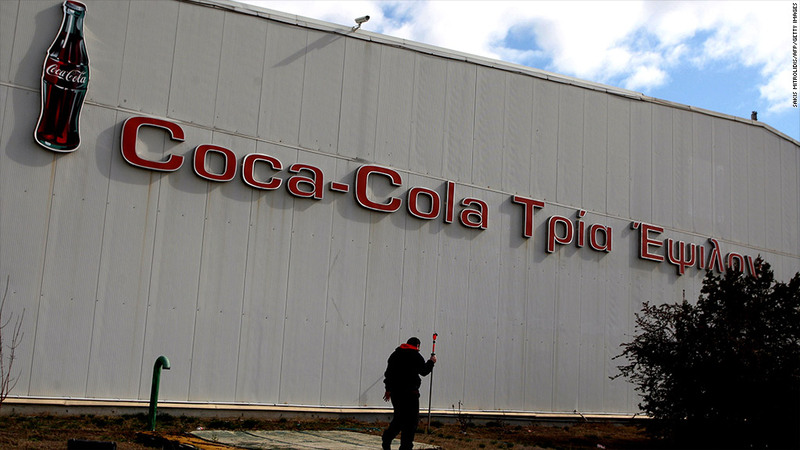 Coca-Cola Hellenic, the world's second biggest bottler of Coke, is moving its headquarters out of Greece, dealing a symbolic blow to the crisis-stricken eurozone economy. The company is Greece's biggest by market value ($7.6 billion) but generates only 5% of its business domestically. Coca-Cola Hellenic (CCH) picked Switzerland as its new home, citing the country's stable economic and regulatory environment. It will also move its primary stock listing to the London Stock Exchange through a share exchange with Swiss-based Coca-Cola HBC AG. Coca-Cola Hellenic has listings in London, New York and Athens. It's also the largest holding in the Global X FTSE Greece 20 ETF (GREK), which lists the National Bank of Greece (NBG) as its second biggest holding. Coca-Cola Hellenic Chief Executive Dimitris Lois said the transaction made "clear business sense." "It will give us access to the largest pool of international investors, on the most liquid equity market in Europe providing flexibility to fund our future growth on competitive terms," he said in a statement. Coca-Cola Hellenic's Athens base will continue to support operations in 28 countries, including Italy, Ireland, Nigeria and Russia. "There will be no impact on jobs, compensation or benefits for any employees of the Coca-Cola Hellenic Group as a result of the transaction," the company said. A majority of shareholders, including U.S.-based Coca-Cola Co. (KO), which has a 23% stake, have accepted the share exchange offer. Greece's economy is contracting rapidly as it grapples to bring its sovereign debt crisis under control and meet the demands of a bailout program backed by fellow eurozone members and the IMF. Yanos Gramatidis, president of the American-Hellenic Chamber of Commerce in Greece, praised Coke's corporate responsibility program. "Companies like this do not act in a hostile way," he told CNNMoney. "They act only to protect their short term interest. But in the long-term, I believe they will be back in the country." The Greek government has been cutting spending and raising taxes in a bid to keep Greece in the eurozone but the austerity drive has sparked waves of social unrest and political instability, and prompted a flight of capital. Coca-Cola Hellenic is not the first company to leave Athens in search of a more stable environment. Greek dairy group FAGE said earlier this month it was moving to Luxembourg. But Gramatidis is optimistic that both moves are short term. "I am optimistic that the decision is temporary, even though I know what it means to transfer a corporate seat," he said, adding, "I believe these two groups (Coke and FAGE) will return when the situation stabilizes and growth returns." He acknowledged that Coke's decision "sends a signal to the international community," but added that the signal must be interpreted. 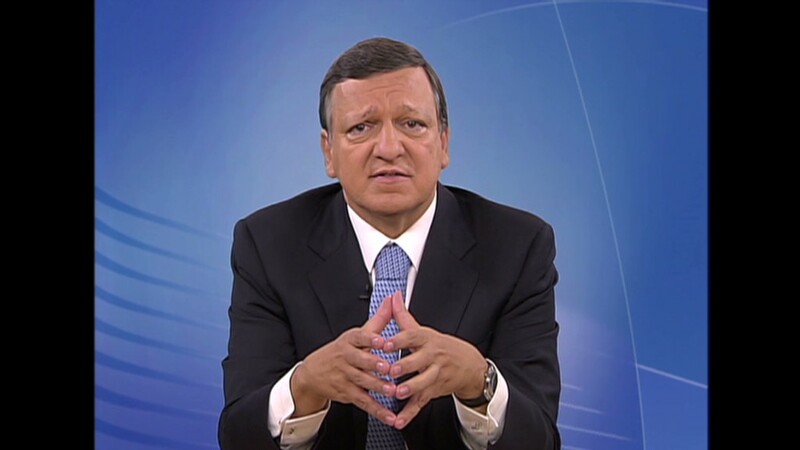 He compared the move to a decision by Delta airlines to stop direct flights to Greece. "Everyone thought this would be the end of the world, and it was not." While the Athens stock exchange has plummeted to 20-year lows, some foreign investors are seeing opportunities in spite of the turmoil. New York-based private equity firm Paine & Partners said this week it had agreed to pay $58 million for of Eurodrip SA, an Athens-listed provider of irrigation solutions. "We decided that the Greek issues we see today should not have long-term negative impacts on the company," Paine & Partners investor Mitchell Presser told Fortune.